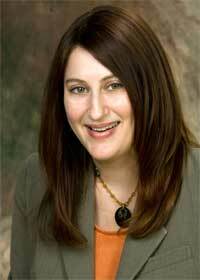 Melanie Koss, an assistant professor in the Department of Literacy Education in the NIU College of Education, has been appointed to serve on the 2013 Randolph Caldecott Medal Award Committee. 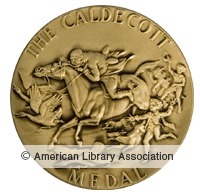 The Caldecott Medal is one of the most prestigious awards given to illustrators of children’s books. According to the website of the American Library Association (ALA), the award is given annually by the Association for Library Service to Children (ALSC), a division of the ALA, to the artist of the most distinguished American picture book for children from the previous year. The medal is named for Randolph Caldecott (1846-1886), a British illustrator best known for his nursery storybooks, including “The Hey Diddle Diddle Picture Book” and “Sing a Song of Sixpence.” Some historians credit Caldecott’s colorful illustrations for the popularity of nursery stories. Koss is an active member of ALSC and the American Library Association. Appointed to the Caldecott Medal committee by the ALSC president, Koss will meet with 14 other committee members over a period of 14 months to discuss and select nominations and then ultimately select the Caldecott Medal recipient. The winner will be announced in January of 2013. The Caldecott Medal committee focuses on selecting the children’s picture book whose original artwork provides the child reader with the best visual experience. Committee members examine details of the books to find the most distinguished picture book that best fits the criteria of a true picture book – a book in which the words and the illustration must work in tandem to create a complex story. Additional children’s books can be recognized as Caldecott Honor Books; these are books that committee members also deemed worthy of attention. Koss previously served on the 2010 William C. Morris Debut YA Award Committee, which honors a debut book published by a first-time author writing for teens and celebrating impressive new voices in young adult literature. The award carries the name of one of the most influential innovators in the publishing world who was also a tremendous advocate for marketing books for children and young adults. “It was one of the most rewarding experiences I have had,” Koss says. Koss says she is looking forward to the experience of serving on the 2013 Caldecott committee.